Before there was the Internet, we read our news in newspapers, magazines, journals and the like. Because printing and distribution required such large chunks of time, a lot of careful planning went into each edition. Journalists and editors worked tirelessly to ensure there was a proper balance of editorial content and hard news – placing the feature content first according to their editorial calendar, and then strategically filling in the hard news. Today, in the digital age, we get most of our information online via social media. 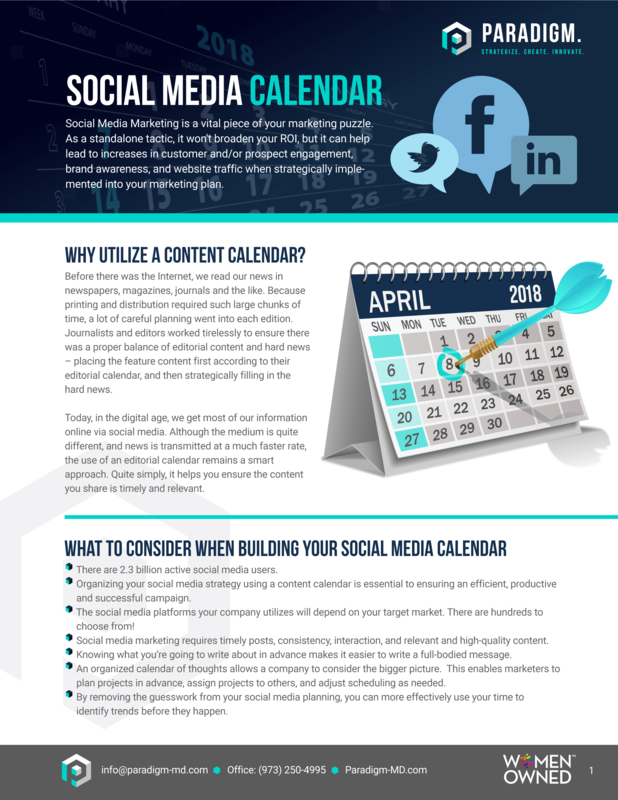 Although the medium is quite different, and news is transmitted at a much faster rate, the use of an editorial calendar remains a smart approach. Quite simply, it helps you ensure the content you share is timely and relevant. 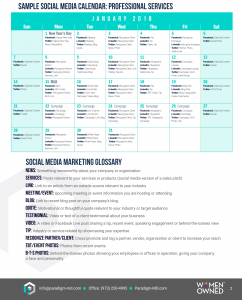 Social Media Marketing is a vital piece of your marketing puzzle. 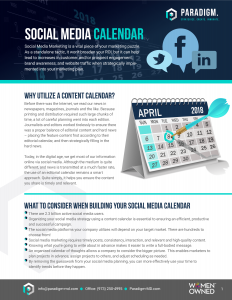 As a standalone tactic, it won’t broaden your ROI, but it can help lead to increases in customer and/or prospect engagement, brand awareness, and website traffic when strategically implemented into your marketing plan. 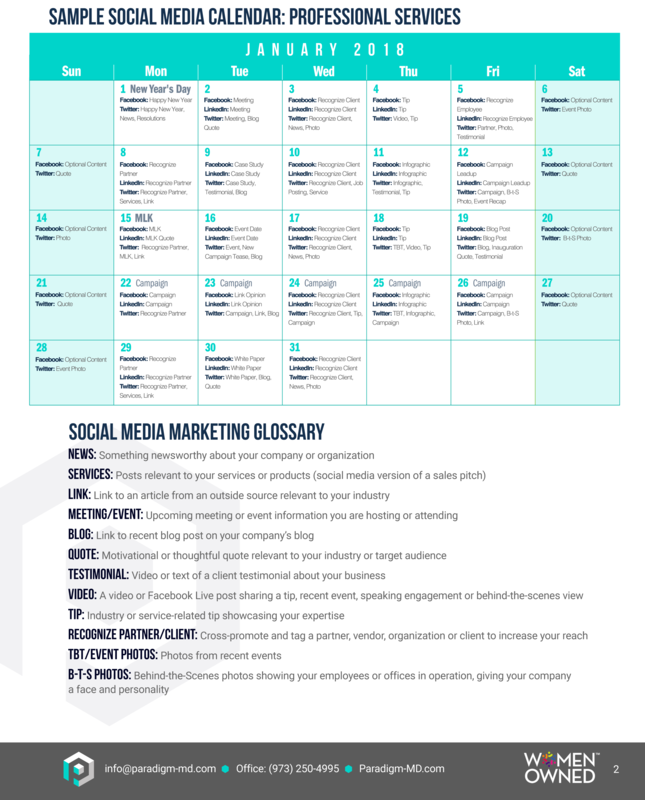 This tool can help you stay organized, outline clear goals and streamline the social media process to increase efficiency and drive a greater return on investment. 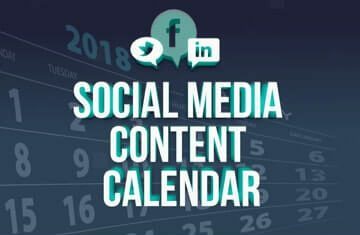 Upon form submission, the social media content calendar worksheet will be delivered to your inbox.